How Can I Find a Trusted Locksmith? | Metro Lock & Safe Inc.
How Can I Find a Trusted Locksmith? Have you been locked out of your car, home or office? Are you looking for a locksmith you can trust? The process of finding a trustworthy locksmith can be daunting. It can be confusing and complicated, especially if you’re intending to use one for the first time. However, it takes the services of an experienced locksmith to help remedy your situation. Nothing annoys as much as getting locked out of your home, car or office when you have some pressing matters to attend to. Being stranded outside what’s supposed to be within your control can leave you feeling helpless. 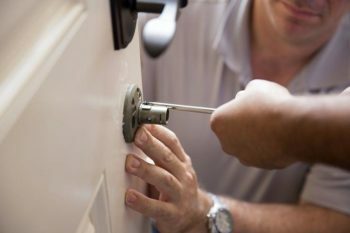 Since nobody knows the day or hour when you’ll need the services of a locksmith, it’s wise to have one within reach for those tough times. Searching for a good locksmith? Here are the things you need to know to help you find one that’s trustworthy. With many con artists all over, you need to make sure that the locksmith you hire isn’t one of them. Ask for qualifications, certifications and licensing to ensure that your potential locksmith is genuine. You can also ask for registration details or check with your local Business Bureau to find out if the person you’re dealing with is a genuine locksmith. Opt for a locksmith working under a registered company instead of an individual who probably won’t be able to prove their legitimacy. Request to have a one-on-one meeting with a potential locksmith for screening by asking relevant questions. What’s more, you’ll be able to study your candidate’s body language and determine if they’re truly genuine or not. First, do a preliminary research to find out how much locksmith services cost in your area. With a base price, you’ll get to know what to expect and what’s an acceptable price. Ask your prospects for cost estimates on all the services they offer, including what’s actually involved in any given process. For instance, if you’re locked outside your home, what does it take for a locksmith to rekey locks of your home and what would that cost you? Find out if there are any hidden charges to avoid surprisingly high quotes once a job is completed. You should also ask for any hidden charges and if emergency jobs come with higher price tags or not. Don’t wait to be locked out of your car, home or office before you can start looking for a trustworthy locksmith. Starting your search early gives you enough time to find the best professional that can offer you commercial locksmith services. You need enough time to assess potential companies on the market before settling for one. Another great way to find a professional and trustworthy local locksmith is to go through reviews by previous customers. What are they saying about that specific company? Are the previous clients happy? If you can’t seem to find a good locksmith, use your social network of friends and colleagues or even family to get a referral of a professional they know. You’re bound to get a trustworthy locksmith through referrals to offer you rekey lock services. Contact us to request a quote or find out more about our commercial locksmith services.